Here’s a creative pic! 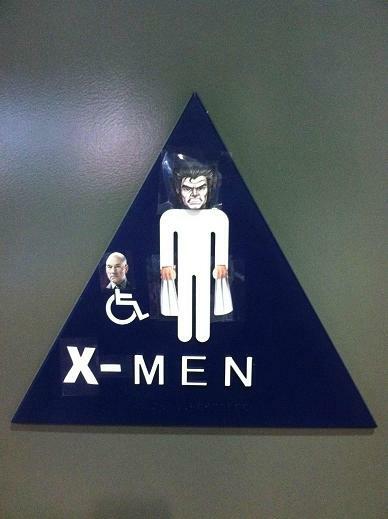 A bathroom sign was altered so that the handicap wheelchair person is Professor Xavier and the normal Man / Guy is Wolverine…AKA Logan 😉 They do fit pretty well on the baño sign after all lol. This entry was posted	on Monday, January 2nd, 2012 at 9:35 PM	and is filed under Funny. You can follow any responses to this entry through the RSS 2.0 feed. You can leave a response, or trackback from your own site.